Today’s Lumiappaday brings you a game for anyone who loves a good intellectual challenge, in the form of the world famous newspaper number game Sudoku. Sudoku is based on filling 9 different 3X3 boxes with the numbers one through nine, without repeating a single number in a row, column or square; sounds easy enough? well it’s not.. trust me. Sudoku on WP is a FREE Xbox Live app running in two main game modes: Lightning & Classic, in classic mode you must solve a normal sudoku puzzle while the clock counts how long it takes it you to finish; in lightning mode you start off with a designated amount of points that start to decrease as time passes (like a count-down), if your points reach zero then the game is over, keep your points up by filling in missing numbers and getting score multipliers by filling in squares faster; once all the tiles are filled correctly the game ends and you gain XP points depending on the difficulty of the puzzle, the speed you finished and whether you used hints or not. 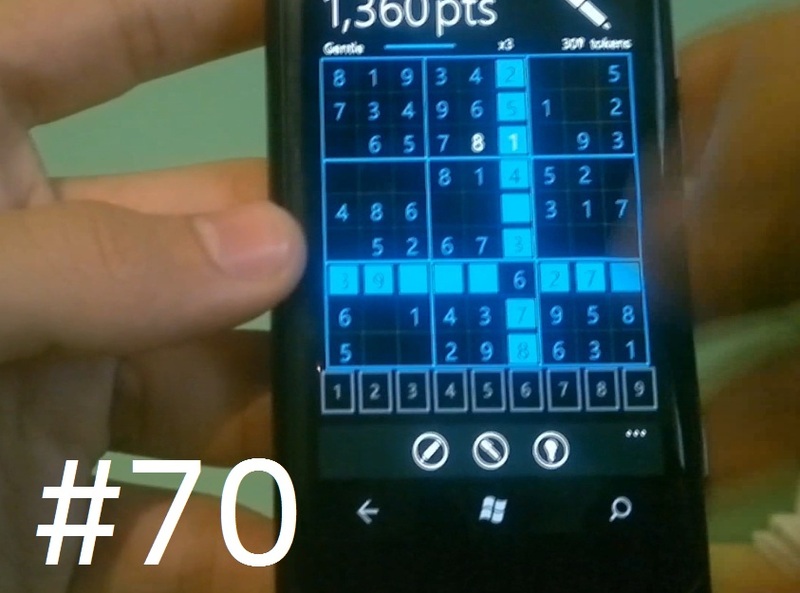 You’ve seen Sudoku in the newspaper – now bring it to your Windows Phone! Sudoku, a numbers based logic game comes with Classic and Lightning modes containing hours of entertainment. With the addition of powerups and LIVE achievements you will have new and innovative ways to show off your impressive intellect. Put your brain to the test with Sudoku! « Nokia’s Lumia, biggest WP share of second gen WP?